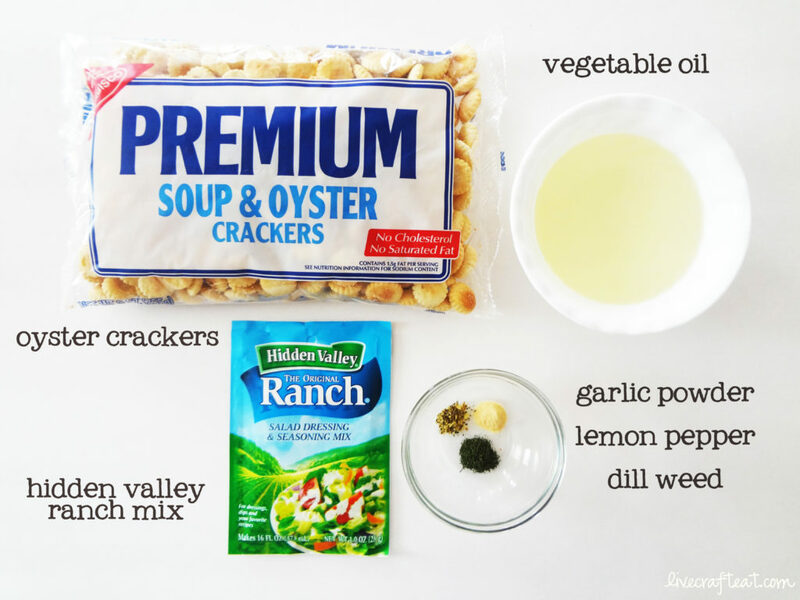 You are here: Home / Eat / make-it-yourself ranch-flavored oyster crackers :: a 2-minute snack! 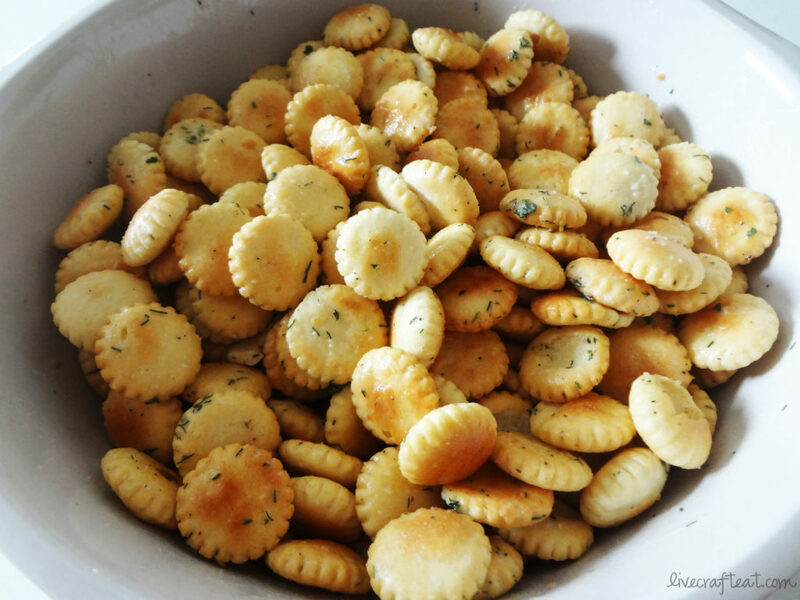 make-it-yourself ranch-flavored oyster crackers :: a 2-minute snack! my sister introduced me to this recipe a few years ago. i don’t know if canada calls them something else or if they even have them at all, but i had never heard of “oyster crackers” before. and my first thought was “ew! why would you eat oysters made into crackers?! ?” clearly i’m not a fan of seafood. but do not fear! there are absolutely NO oysters involved – it’s just what the crackers are called. 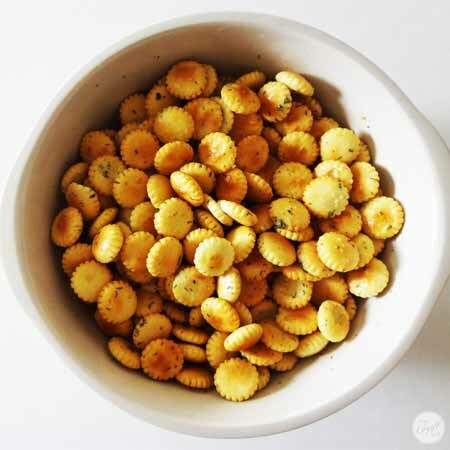 oyster crackers are like mini saltine crackers in round or hexagonal shapes. they’re actually really cute. 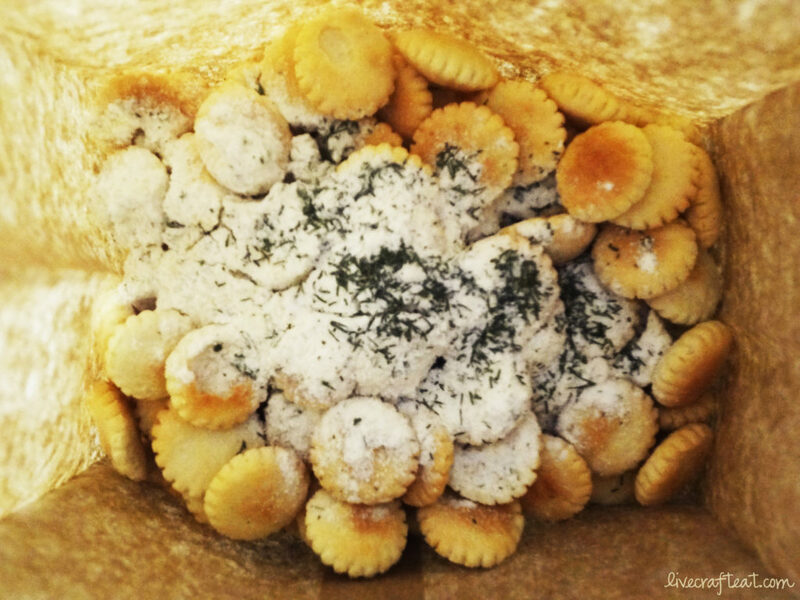 in this recipe, all you need is 1 9-oz bag of these oyster crackers, some vegetable oil, some ranch dressing mix, and a couple spices. it comes together super fast – just throw everything into a brown paper lunch bag and shake it all together! done! note: you might want to shake it over the kitchen sink since some of the oil will absorb into the paper bag and you don’t want drops of oil all over your kitchen! Place all ingredients in a brown paper bag and shake well. Enjoy! Looks yummy and reminds me of something my mom used to make when I was little! Do you have a ‘pin it’ button? I have seen this recipe before, but I haven’t tried it yet. After seeing your pictures though, I think I will. These look so yummy and SOOO fast! Thanks for the recipe. they are all of that! i hope you like them! How have I never had these before? They look so good and easy. 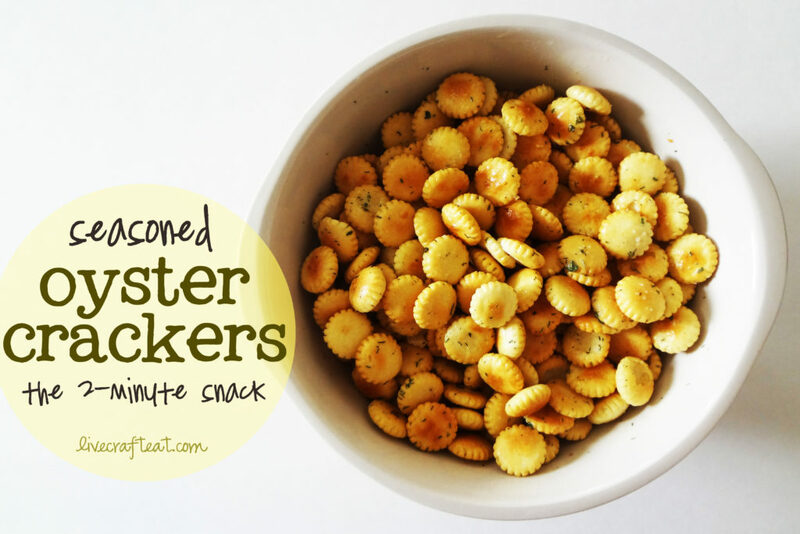 My kids love crackers and these will be a perfect treat. I too was afraid of the “oysters” in the name. Thanks for clearing that up! they’re really good – i hope you try them! Delicious and easy. I add paprika for a lovely color. I make these over the holidays and give them as gifts. I always am asked for the recipe. Thanks for posting! Love the paprika idea! Thanks for sharing! Is there a specific reason you need to use a paper bag instead of a ziploc? Just trying to work with what I have on hand. I use the paper because it absorbs some of the oil. But a Ziploc would probably work just fine! HTH.